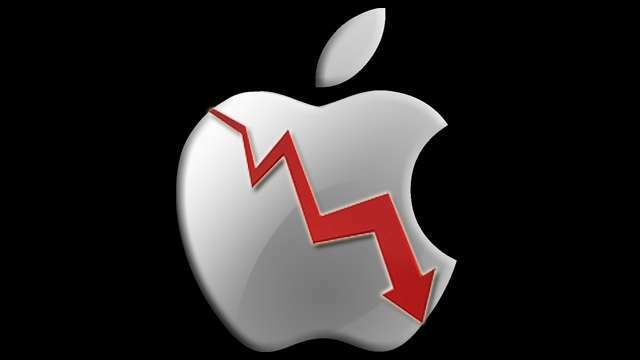 Apple stock continues to go down. Even though the company has launched the fastest-selling smartphone in history. Apple made $8.2 billion in profit on $36 billion in sales. That however did not help, the company has lost more than $130 billion in market value. It closed under $600 for the first time in a while. The final at close was close was $558. That is 21% down from September’s value. Many people see the issue with Apple is that it is too successful. It keeps breaking records so Wall Street has come to expect nothing but the impossible. Wall Street sets up sky-high estimate. Apple continues to make Wall Street reevaluate its estimates for the company. that hammer the company when it can’t meet them. The company sold only sold 3 million iPads during the iPad mini and fourth-generation iPad’s opening weekend. While those are great numbers. Those numbers in the eyes Wall Street were not not good enough. If you have been watching Apple, one would have to agree. Apple is expected to sell 3 million iPads alone without out help of another product. Analysts Jeffrey Gundlach of DoubleLine Capital’s has sent shares of Apple down further when he went on CNBC and said Apple’s stock is headed to $425.